M and M Connemaras is a family orientated riding facility developing riders of all ages from beginners to grand-prix level. Clients are welcome to bring their own horses as boarders or to haul-in and have lessons with us. We also offer a full range of riding school horses and ponies some of which are also available for full or part time lease. M and M offers a comprehensive range of disciplines including; hunters, jumpers, eventing, dressage and pony club activities. Lease fees are based on individual lease agreements. We have a variety of Lease Horses available, please inquire for horse options and pricing. 2012 Olympic Eventing rider Hawley Bennett-Awad offers clinics at M and M Connemaras, and has been a part of the M and M scene for many years. Hawley has competed in multiple Olympic Games and competes actively in Eventing all over the world. When Hawley is back home in her native Langley, she offers clinics here for riders of all levels. Pam Arthur, International CEF judge and former coach and mentor for Hawley Bennett, Former Master for the Fraser Valley Hunt and Official Pony Club Examiner will also be a guest coach, consultant and judge for M&M. M and M Connemaras is proud to host a variety of full time and guest instructors with experience ranging all the way to International competition and the Olympics. We offer a comprehensive beginner program for those just starting out, and are also well positioned to offer a training program to competitive riders in hunter/jumper, dressage and eventing. 5 decades. Melanie is an Equine Canada certified coach, holds a BC teaching degree and has a masters degree in social work. With over 30 years of experience, Louise has had extensive showing experience in both Showjumping and Eventing in england where she grew up. She also shares her experience from working on both the British Showjumping and American 3 day eventing teams. Kate started her riding career in England riding pony jumpers. By the end of her pony riding career, she had the number one and two ponies in England. She moved on to horses, rising through the novice ranks to Grand Prix where she drew the attention of and was selected to ride for Great Britain, Kate rode in international Grand Prix rings in France, Belgium, Germany, and Spain with excellent results. In 1993 she made the decision to move to Canada and was recruited by Judy Wise of Fairway Farms, schooling and showing novice horses and seasoned competitors. Kate later started her own business, Link Farms, where her students have confirmed her success in training horses and riders, often being recipients of championships and winners of specialty classes. Chelsea has been riding competitively for over 25 years, competing throughout western Canada, as well as Washington, Oregon, and California. It is not uncommon to find her in the winner's circle in both the hunters and the jumpers at the same show. Her successes range from novice horses, to Hunter Derbies to Grand Prix classes. 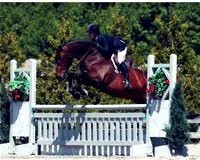 Her unique versatility allows her great success in coaching junior and amateur riders in the hunter, jumper, and equitation rings. 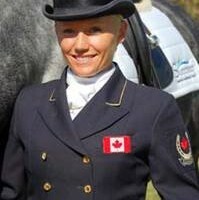 Chelsea is also a certified CHA level 4 coach, as well as an Equine Canada and USEF Senior Hunter and Equitation judge. 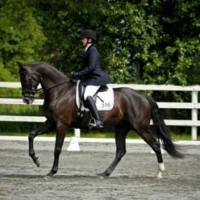 Christine has trained dressage horses to Grand Prix level. Having spent many years Eventing to top level, Christine has decided to specialize in Dressage and hasn’t looked back. Her students are always top of the show in their dressage scores and both her students and Christine are asked on a regular basis to participate in Dressage symposiums and demonstrations. Those of us who have been taught by Christine can attest to her brilliance as a dressage coach! Brian has taught at M&M for over ten years and currently rides his Dutch warm blood stallion Vaust in partnership with Melanie White. 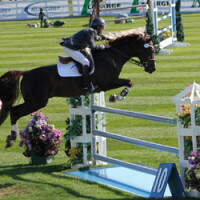 Brian Morton is well known on the national show circuit and is now short-listed for the Canadian show jumping team. He is pleased to offer an ongoing comprehensive range of show-jumping clinics at M&M.